As an alumnus and former football player at the University of Notre Dame, our client loved to watch sports. 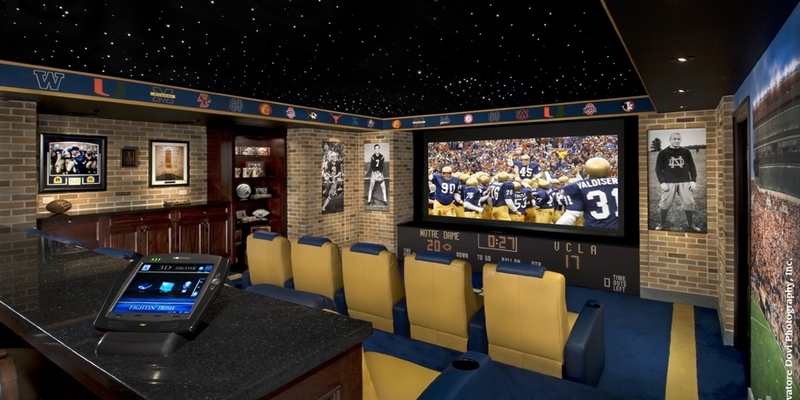 So much so, he contracted Integrated Electronic Solutions to create a sports-themed home theater and media room that would enable him to watch multiple sporting events at the same time. He also wanted a system that could show 3D movies on the large screen. But his real goal, bar none, was to walk into the home theater and have the same feeling as being inside the Notre Dame Stadium. This was a challenge we couldn’t resist!